On The Commons Fellow David Bollier offered these thoughts at the iCommons Summit in Sapporo, Japan, on July 31, 2008. iCommons is an international gathering of people exploring the potential of digital technologies to develop new online commons. The question that I want to address today is: “How might free culture begin to relate to other social movements?” I will start with several quick examples of what I call “digital citizenship.” I think you will quickly connect the dots. First, there’s the story of how bloggers did a much better, more accurate job in covering the run-up to the Iraq War than The New York Times and Washington Post. The mainstream media gave us tragically misleading news about weapons of mass destruction at best, and at worst, government propaganda. Then there is the story of Virginia Governor George Allen. While running for the U.S. Senate in 2004, Allen called a college student of Indian heritage who was videotaping one of his speeches, a “macaca” — an ethnic slur. The video, when posted on YouTube, was a key factor in Allen’s loss — and in the Democrats’ re-capture of majority control of the U.S. Senate. Then there is the memorable story of students at Swarthmore College who exposed evidence of “hackable” Diebold electronic voting machines. When Diebold tried to suppress the evidence by invoking copyright law, the students and other activists published the documents on the Web, triggering many states to ban Diebold voting machines. Finally, there is the story of a group of activists, lawyers and journalists who created a public wiki to document the lethal side effects of Zyprexa, a best-selling anti-psychotic drug. Prosecutors eventually sought a $1 billion fine against the drug maker, Eli Lilly, for suppressing evidence of the drug’s risks. I apologize for not having more international examples, but they might also include the huge “flash mobs” in South Korea who protested their president’s meat import policies and Egyptians who used the Internet to protest soaring food prices. What do these wildly different episodes suggest? They are evidence of a new type of Internet-enabled citizenship. Today, thanks to the Internet and digital technologies, citizens can increasingly play a direct role in politics and self-governance. We are acquiring new abilities to instigate action based on our own priorities, our own vision, our own voices. In a great many instances, we have better, more reliable and more timely knowledge than big institutions. We have access to a larger pool of talent — more eyes, more ears, more creative minds, and in many more locations — than the centralized institutions that claim the right to govern us. One of the most powerful vehicles driving this transformation is the commons, a new paradigm of value-creation. 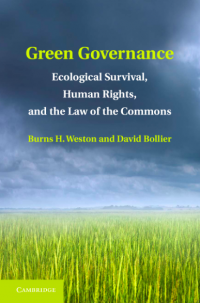 A commons arises whenever a given community decides that it wishes to manage a resource in a collective manner, with a special regard for equitable access, fairness and sustainability. The Commons Sector is all about socially created value. Socially created value is becoming a macroeconomic and cultural force in its own right — as Yochai Benkler has so insightfully explained over the years. The rise of the commons is evidence of something I call ““The Great Value Shift.” The market is not necessarily the only or the best way to create wealth these days. In many instances, the commons is a more accessible, more efficient, more productive alternative to the market. That is one reason that we are seeing such an explosion of new commons. This leads me to my first point: I say it’s time for us to take stock of the larger political ramifications of the many projects that constitute the Commons Sector. Why? Because I believe that the commons sector represents an emergent new kind of political culture — one that has the capacity to transform the current order of things, an order that is structurally hostile to many of our core values. The new Commons Sector is not an ideological movement, however, nor a conventional kind of politics. It is not about posturing or messaging or symbolism. It is not about tactical maneuvering or power grabs. It is not about ideology. The Commons Sector is about building something far more basic and enduring. It is about changing how people do things — practically, and at the grassroots — and thereby changing the infrastructure and context for political action. This is an indirect and long-term strategy — but ultimately a more effective one. It brings to mind the ancient Chinese game “Go,” in which the better player encircles an opponent before the first player even realizes there is a threat. Project by project, working at the grassroots around the world, we of the Commons Sector are confronting the pathologies of existing markets and corrupt government structures by building our own working alternatives. We are building new forms of power and institutions that can fight closed oligopolies that serve the few, the connected and the wealthy. This is how the commons is serving as a new vehicle for political and cultural transformation. R. Buckminster Fuller once said: “You never change things by fighting the existing reality. To change something, build a new model that makes the existing model obsolete.” That’s what the commons sector is all about: building a new reality. That, in effect, is what has come to pass over the previous ten years. The commons sector has become a competing form of governance. 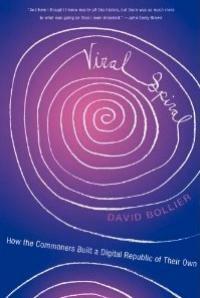 As I put it in the subtitle of my forthcoming book, Viral Spiral, the commoners are “building a digital republic of their own.” My book, due out in January, tells this history. It is the history of the struggle to create free software and the Creative Commons licenses, and the growth of what I call “viral spirals” such as open educational resources, open-access publishing, open science and open business models. The commons is a “competing” form of governance because it establishes a stable, alternative power base. It competes, in a sense, with government-made law and with seller-dominated markets. A few years ago, in a brilliant essay, Internet scholar David R. Johnson declared the online commons a new kind of social/biological metabolism for creating “law.” It has its own internal systems for managing its affairs and for interacting with its environment. It can repair itself and define its own persistent identity. What’s really important is that the commons, as a new kind of “organism” in our culture, can increasingly compete with — and even out-perform — conventional institutions of government, business and media. As a new paradigm of self-organizing behavior and governance, the Commons Sector represents a great leap forward in citizenship. In the United States in the 18th Century, citizens had the right to affirm the decisions of the landed elite. In 19th Century America, citizenship was all about joining large, centralized political parties. In the 20th Century, citizenship was mostly about becoming an “educated voter” as a way to try to achieve good government. The Commons Sector takes citizenship to an entirely new level. It honors open access, transparency, the freedom to participate and social equity in ways that governments do not or cannot. This is what I mean when I say that free culture represents a new kind of democratic polity, a new form of governance. The thousands of commons that we are all creating collectively represent a new kind of digital republic — an emerging free culture nation without borders. 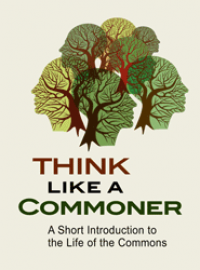 Many political elites are uneasy about the commons. They are not so sure they like all this transparency and open participation. They are wary about the idea of direct access to knowledge. And decentralized, self-generated action? Why, it can’t be controlled by a bureaucracy or party. It’s “out of control.” It’s anarchy! Even many of our liberal friends don’t trust decentralized citizenship, perhaps because it threatens their roles as self-appointed proxies for the masses. Then there is the distressing fact that free culture and open networks don’t fit into neat ideological pigeonholes. This, however, is the deep secret of our power: We don’t define ourselves by what we are against — but by our own affirmative vision of the future. We are more intent on inventing something new than in fighting yesterday’s ideological battles. My argument so far goes like this: We are seeing the rise of a new kind of citizenship that is beginning to show serious political power and sophistication. 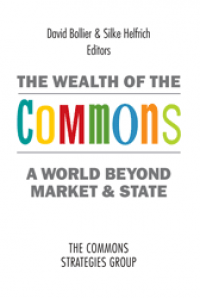 This power stems partly from the fact that the new commons sector is an economic force of production in its own right. It commands greater moral credibility and cultural authenticity than many other institutions. And it represents an insurgent sort of democratic power that cannot be easily consolidated or co-opted. The creation of this digital republic is the achievement of a generation. It started with free software; gained new momentum with the CC licenses; took off with the arrival of Web 2.0; and is now exploding with the innovations that we see here at iCommons. Now it’s time for free culture to take its own political potential more seriously. We commoners need to find new ways to engage with mainstream political culture and lend support to other commoners — especially those commoners working outside of the universe of information and culture. 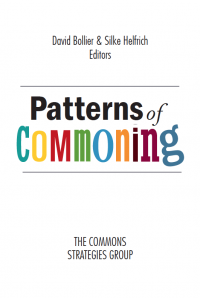 As Editor of OntheCommons.org, I see the dynamics of enclosure replicated in dozens of areas. Market enclosures are consuming our atmosphere and agricultural seeds and the human genome, two-thirds of which is patented. It may soon turn the Arctic into a major oil drilling field and eliminate the biodiversity essential to human life. Enclosures are also consuming our civic spaces and media. And so on. I think the next, natural step in the evolution of the free culture movement is to explore how we might begin to make common cause with these other commoners to challenge other sorts of market enclosures — enclosures of nature, of public infrastructures, of local communities. Enclosures that the North is imposing on the South. We in free culture have learned a great deal over the years about how markets can be closed, anticompetitive and proprietary — and how this can result in profound assaults against freedom, social equity and democracy. But we’ve also learned to devise creative solutions — new mechanisms of law, technology and social norms that can protect the commons. And we have found each other! Given the enormous challenges facing our planet — and the people in developing nations — and the nearly universal yearning for more responsive, accountable institutions of government and business. it only makes sense that the digital citizens of free culture turn their gaze to the many mainstream political challenges of our time. As most of you know, Larry Lessig is trying to bring some of the tools and insights of the commons to a new project called Change Congress. The group seeks to tackle the “systemic corruption” of the democratic process in the U.S. Congress. Larry points us to an inescapable fact: There is a wider political arena that needs our attention. Fortunately, there are also millions of other commoners out there who want more humane and effective models of development, who want governments to respect basic human rights and democratic freedoms, who have more bracing visions of progress than that offered by the neoliberal model of privatization and crony capitalism. In the world of natural resources, the dynamic is precisely the opposite. Natural resources tend to be depletable. The more that we use the sky as a waste dump or use up finite supplies of oil, the less there are of those resources. This fundamental difference in the nature of the shared resource means that this “other branch of the commons family” has a very different kind of politics than we do. One is trying to unleash abundance. The other is trying to allocate scarcity fairly. Despite our differences with other commoners, we are all fighting market enclosures. We are all fighting expansions of private property rights that make it impossible to provide for the collective good. We are all trying to declare our collective wealth as inalienable — and to fight the forced conversion of commons into markets. We are all trying to invent new mechanisms to protect the commons. I believe that it’s time to open up some new conversations with those commoners who are adjacent to our work. We in free culture have several important things to offer. First, we offer the narrative of the commons — a narrative that helps us reclaim that which has been taken from us through market enclosure. We also offer a sophistication about the Internet and digital technologies — a talent that gives us a certain “home field advantage” as more of life goes online. Third, we have a moral credibility and competence that is rooted in the subversive ethic that culture should be open, participatory and democratic. For all of these reasons, the commons can increasingly “compete” with government and business as a serious “third sector” of society. The Commons Sector represents a sleeping volcano of potential political power. It is able to challenge governments and businesses that are closed, stagnant, unresponsive and resistant to new ideas. It can also transform the existing generation of citizen organizations, many of which have become stodgy, compromised and bereft of vision and grassroots energy. I realize that the outreach I am proposing is beyond the scope and competence of iCommons and free culture as they now exist. Indeed, some skeptics may outright oppose wading into the grubby thickets of conventional politics. These are fair concerns. But I am convinced that free culture has always retained its vitality by looking outward and by starting new “viral spirals” with other commoners who want to make the world a better place. We the people of the iCommons network are a very unusual group. We have great transnational reach, political sophistication and tech expertise. We pride ourselves on our democratic values and idealism — but also on our pragmatic commitment to things that work. Imagine if our talents could go beyond the familiar circle of free culture issues and reach a world desperate for new ideas, political tools and leadership. Imagine if we could strengthen our own free culture advocacy by developing partnerships with other commoners fighting market enclosures. It is presumptuous of me to say how exactly this next stage in free culture might unfold. Indeed, there is not likely to be a single path. And in any case, it is up to the commoners themselves to decide. But I do think that it is time to explore the possibilities and to begin some exciting and necessary new conversations. 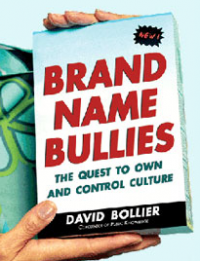 The slides that accompany Bollier’s remarks can be viewed here. _A video version of Bollier’s presentation can be viewed here.